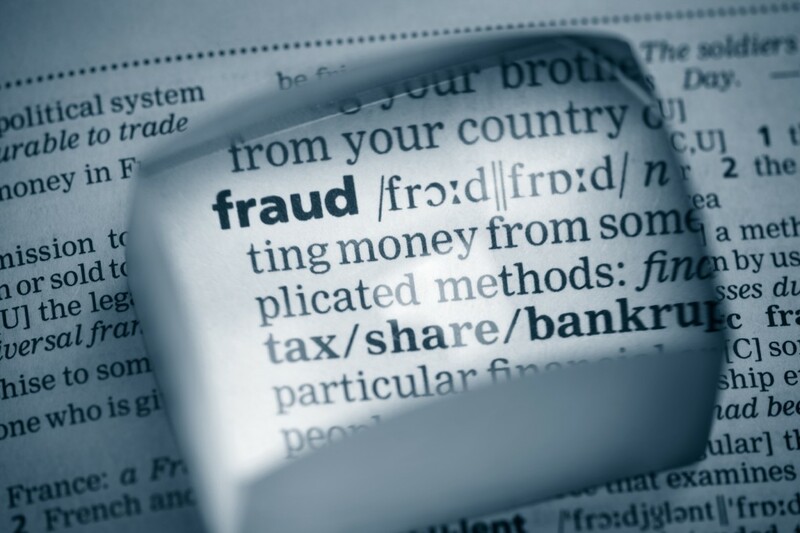 Are You A Victim of PayPal My Cash Fraud or InComm Fraud? Short version of my story: May 8th, I bought 3 $500 Paypal My Cash prepaid reloadable cards from Walgreens store #5106 in Grayslake, IL. I took them home and essentially left them alone, I was in no need/rush to load them to my account and was rather busy with work and travel at the time. July 8th I went to reload one. You scratch off the back, reveal a PIN, then load to an account. These can only be loaded to Paypal accounts – so in theory the money is quite easy to track. Tried this… found the money to be gone! Called up the number on the back of the cards. They are not operated by Paypal but by a company called InComm aka Interactive Communications. Calling Paypal will generally get you routed back to Paypal. The woman on the phone basically said it was IMPOSSIBLE for someone to load any money unless I had given them the PIN (silly and not true, see further explanation below.) I scratched off a 2nd card at this time – with them on the phone – the money was gone as well. Of course it was supposedly my fault, per the rep. I will sum up my phone experience here for anyone who may go through this: you can only get to 2 types of people at the number on the cards – 855 721 5035 – first line customer service and their managers. They are rather well trained at giving you very little info. Dates money was taken out of my cards? I still don’t know. Most are unhelpful and just trying to get you off the phone. I did run into one southern sounding guy who couldn’t help but sympathized and was actually cool. He provided me the corporate number – 770 240 6100 – to their headquarters in Georgia. From here you might be able to get to a legal department, you can definitely get to a fraud department. On the first line customer service number you will basically go through a loop of options but they are basically this. They will ask you for pictures of your id and the cards and to fill out a form. This opens a ticket in a jira tracking system for identification. They said they would call me back, although I had to call in for an update. They basically did nothing but say the money was gone and that I needed to open a police report. At this point the only thing they will do is work with the police if you do open a police report. The officer is the only one they will speak with about the case. I was still busy, and my officer was retiring – so fast forward to now and it’s December and I haven’t had much progress down this path. InComm appears to have sent him some info about the Paypal accounts my money was sent to via e-mail, although he retired and did not leave any notes about what is going on with the case. I essentially have to open up a new report at this point. The problem with this avenue is that it is very very likely the Paypal accounts the money was sent to were password compromised. I was able to speak to someone in the corporate fraud office about this, and they noted the money went to many accounts and that it was no longer there. This (finally) useful information was provided from the corporate fraud department after I provided my jira case number. To sum this up though: the odds of getting your money back by actually tracking down the person that took it is quite small. It’s gone through a web of layers and transfer and is maybe in Nigeria by now. It’s highly unlikely that it went to the person that owns a Paypal account that was sent the money, and the money was likely not sent as $500 to one account but $50 to ten accounts. The fraud department would not help me because they believe I was scammed – it was my own doing, that I simply won’t admit to them that I was duped and gave out my PIN. They decide this based essentially solely on the fact that the money went to many other accounts. My guess is it all went rapidly as well. If this is something they consider suspicious activity, then how do they know whether it was by some kind of fraud or by a scam? Why assume it is one vs. the latter? Easy, if it is fraud they could be held accountable in some way, while if scam they can just blame cardholders and avoid paying out, absolving themselves of responsibility. I would bet that this is atypical and suspicious behavior indeed – given that the primary usage of these is likely loading the entire amount to someone’s account. If this behavior is suspicious and a likely indicator of a problem, why do they continue to allow the funds to move at all? It would seem a reasonably precaution would be to freeze the funds for the card and recipients, and give the user a message on their next attempted load that they need to call in and verify some information on the card. So let us go over some elements of this transaction. InComm absolves themselves of responsibility by saying there was suspicious activity, and all suspicious activity is by duped people who were scammed. They also say it’s just outright impossible for someone to load money without having this card in their possession or a cardholder providing the ID. What’s wrong with this? It’s unreasonable to state every person who has had missing money from this card is a victim of a scam, or that simply because they think it was a scam, the cardholder was duped. There’s no proof whatsoever of this, and they are simply taking this position to avoid paying the cardholder their funds back, or improving their fraud detection and handling procedures of their product. Ultimately I believe this would be taken to a judge to decide, and I would suspect many would fall on the side of consumer protection vs. a company with millions in revenue. The card process seems poor in that it only requires the scratch off PIN. If someone got super lucky and guessed the PIN, they could take money. A likely more secure system would be that as seen on something like Starbucks cards – to load their gift cards, both the card number and scratch off PIN are required. It’s possible someone could reverse engineer the card algorithm that creates the PINs. It’s possible someone who has access to the computer code that generates the PINs shared it. It’s possible that someone who works where the cards are manufactured had access to record the PINs before application of the scratch off, or was able to scratch the material off and re-apply it before shipment. It’s possible that someone from the public or employed at my store scratched off the material, copied down the PIN, and found a way to apply new scratch off material. Although it was most likely a low sophistication non-technical hack – it’s possible that the thief got the PIN any number of the above ways, without the cardholder being duped into providing it. If anyone ever claims InComm is magically unhackable and that could never happen either, hey, just point them to this story where last year where hackers manipulated their system and ran off with over 11 million dollars! I personally have an accessible history of use of these cards, and the only thing I ever do is load the $500 straight into my account. I am also young(ish) at 36, have a degree in computer science, career in IT, work at a major US bank, have been a power seller multiple times over with thousands of feedback entries on eBay – hardly the profile of someone that sounds like they are going to be falling for a scam and be duped into providing their PIN. I’m just beginning to explore options and here is where my research stands as of 12/7/15. The below simply addresses getting your money back and does not pursue the prosecution of the thief or attempt to do so, something I would consider wholly separate at this point. Contact Your State’s Attorney General – It seems they often have a consumer protection division. I am in IL; as of this writing the website I’m looking at is here. I will be sending my form in soon, this could range from resolving the issue to getting some advice to finding out they are backlogged. I’ll update this post with more info as I encounter it. Write a Demand Letter – This is a letter that you can write or have an attorney write for you. You basically lay out your demands and what you will do if they are not met. Make me whole or I will go to the BBB, the news, take you to court, steal your ice cream, etc. It needs to get to a decision maker. I suppose you could make a few copies and mail them to all sorts of departments and people. If you send stuff via USPS you can do so via registered mail or with certificates of delivery and delivery signature confirmation as well. I suppose that won’t necessarily mean the CEO is signing for it but you’ll have clear proof someone at corporate signed for the piece of mail you addressed to the CEO. per this rather lame CEO move, it seems his e-mail address may be bsmith@incomm.com. Although no surprise if it’s changed now after this note went public, it may be possible to reach some of the others below via first letter + last name @incomm.com though. Note it’s generally common for full email addresses to be limited at 8 characters following this convention too, who knows. i found Phil on linkedin here. If you have an upgraded linkedin account you can mail people directly even if you’re not connected, I believe. If you haven’t upgraded ever (or maybe even just the last year) you can sign up for this for free for a month as well. I’ll leave it to you to track the others down via linkedin, facebook, or other social media; it is likely many are in the Atlanta area. Feel free to link them this blog entry as well. In small claims, you are pleading your case to the judge to recover your funds. I believe you can sue for the amount to make you whole, and I believe you can ask for any amount you want – including the effort to chase down this money. So taking off work and traveling to the other state as well. Maybe you get it, maybe you don’t. Be ready with dates, numbers and facts. My understanding is the next element I’ll refer to below is not enforceable but personally I would refer to it court. Your intent is to prove that InComm has been negligent in the handling and protection of your funds. Sue in Federal District Court – I believe InComm to be in violation of Regulation E, the Electronc Fund Transfer Act. This is a federal regulation which is why it cannot be enforced in the above mentioned state small claims court. I believe Regulation E applies to InComm Paypal My Cash prepaid reloadable cards. The table on page 13 describes consumer liability depending on the situation and dates – I believe there to be $0 I am liable for in my own case. Per page 14 on error resolution I believe InComm failed to make me whole within the specified timeline. Per page 38, failure to comply also carries a civil liability of $100-$1000 per “individual action.” They may be liable in criminal court for even more. I’m not sure what each individual action refers to in this case; I have 3 cards and 2 jira cases with InComm. In any case it seems a minimum of $100-$1000 for your trouble on top of being made whole. The good news with this option is that the regulation is enforceable by a judge, and you can stay home in your state and sue in federal court. The bad news is you are probably going to need a lawyer, and lawyers are expensive. You can only sue for lawyer fees if the statute allows it – I’m not one but it doesn’t seem that this one does in my naive reading of it. You could try representing yourself, although it looks pretty hard. Can you and I both hire the same lawyer and represent both of us in one case? I’m not sure on that one. Certainly with a class action lawsuit, although we may be a lot less likely to be made whole ourselves at that point. Lawyers get a ton of that money. Then again, if it comes down to this as a last ditch effort, great, what do I care? If my choice is between receiving nothing, or receiving 50 cents and watching InComm get fined millions of dollars, I’ll still feel a lot better about the latter. UPDATE: I discovered it was an InComm employee embezzling. UPDATE 2: InComm did NOTHING about it. Good article. The problem with taking them to court is they have more money than us.We’ll end up paying more than the cost of the initial scam. Their mindset is we are all trying to pull a fast one on them. We are all scammers!! I was once told when this was happening with moneypaks… how do they (the moneypak or PPMC company) know that I didn’t just send the code to my friend in the next state over or sitting right next to me with a fake ip then file a false scam report to collect another $500 for free. Which yes he has a point, and yes I’m sure there are a couple false reports every now and then using this method. But they need to be held responsible in some kind of way IMO. Unfortunately these scams have been happening for quite a while even before PPMC and we are very limited on what we can do about it besides no longer purchase from these companies as they know their average buyer and scam victim isn’t going to take the time or funds to fight them over this. true, but i don’t believe it’s much to file (even in federal court) – in small claims the cost is more time than money. that we are smaller amounts may make it worth it as well – if it’s 500 for you or 600 for 2 hours of a lawyer, maybe they give it to you. i agree that from their end they don’t know if we are scamming them – but shouldn’t they have to prove that crime or have some evidence to suggest it? they already believe the multiple recipients to be suspicious. given that it went to them (and likely more accounts, and is gone) and given past history of usage (which i’m sure most of us have), plus our willingness to open police reports (why would we do that if we were in on it?) would all seem to indicate that we are legitimate cardholders and victims of unauthorized electronic transfers. Mike, thank you, for writing this important article which can be found by search engines. This INCOMM rip off needs to be readily available for people who are searching, and it’s my hope your article serves that purpose. I feel your pain. I’ve lived it. Not $1,500 worth, but the $500 (maximum PalPal card load amount) The stolen funds were important to me for paying my bills in July of 2015. I was CRUSHED to realize PayPal was not in charge, nor would they help in restoring my stolen funds. But there is hope! I eventually got my money back, and I’m certain you can too. But I believe our experiences are just the tip of the iceberg. There are many, many more silent victims who’ve suffered the same fate but don’t know about creating a network of online communication, like we do. So ICOMM goes scot free, never settling with them or paying these vulnerable victims a dime. My story is written all over the internet. After all, you replied to ONE of my many PayPal Community posts. So that is how I found your article. Rather than re-writing it, I will leave you & your readers my list of places on the internet where I have documented my own ICOMM/My PayPal Card nightmare. Because ICOMM lies to us and is cloaked in protective secrecy, it is my belief (but no way to prove my theory) that on Saturday, July 4th, 2015 the ICOMM computer database was hacked by a program which ran all possible combinations of PIN numbers on the ICOMM database, scraping off the money that remained on cards there. Since there is no-way for a company outsider to know otherwise, they lie to all victims telling us it’s simply our fault. I finally was restored my full $500, through the Atlanta Better Business Bureau. It sickens me to this day that even as they agreed to return my money ICOMM insisted I’m a liar, that I was responsible for the money disappearing from the card. I guess it’s my ego, but I can’t tell whether I hated having the money lost, or publicly being called a liar on the BBB website that has me more pissed! They hold to their story like a dog with a bone, Claiming WE are the reason our money is missing. They don’t want this blowing-up to the full story it should be. For a look into ICOMM, please read this Topix post. This thread is about ICOMM’s Vanilla VISA Card, but it gives a glimpse into how ICOMM operates. It’s full of facts & info on inComm. As the owner of this post you have my email. Please contact me ASAP because I have set the wheels in motion for getting to the bottom of this, but we need to work TOGETHER. If you’ve been through a similar situation with your My PayPal Cash Card, please leave a detailed reply here on this article so we can gather as much information about victims as possible. Thanks in advance! i’m also quite annoyed at the assertion that i am liar, given that i have laid out low to high tech ways that clearly someone can compromise the account without authorized access being provided. it is good news to hear that your situation was resolved via the BBB. the guy from google+ got some high up contacts and threatened them with going to the news, as he is a disabled vet and was using his money for food – they quickly responded to him after that. how long did your BBB angle take? i’ll be filling out a complaint over there today. thanks! i have left notes on two other ripoff reports to come visit my blog post. these have been resolved – but if your story is the same you should be made whole. i will send an email to you later today from my personal account. sorry for the delayed response. is this the case even with a federal statute? thanks for the link. 1. Mike, would you please send me an email to the address I listed as I post these replies so I can communicate in a non-public way. PLEASE. If doing so is a problem, PLEASE let me know by replying here. 2. BBB, August 25th the INCOMM security called & then loaded the money directly onto my PayPal account. I do not wish to jeopardize your chance of using this avenue of due recourse, so I will not elaborate on the details. Again, if you’d please contact me privately, I can share more personal information. 3. What just happened to My PayPal Card thread today? At 1pm ET it ended with your post about this article, now it has a bunch of 203 error code titled threads tagged on the end (the thread dates are from Nov-Dec). What’s going on over there, and why is PP messing with the threads? I’m unsure what 203 error has to do with our specific situation. Again, thanks for writing about this on your blog. It’s important to get this out on a public platform which is searchable. PLEASE email me, or reply here that you can not do so. Much appreciated. Sorry Mike. You’d asked about the timing of the BBB sequence of events. Downtrodden at this negative reply, I thought the situation had reached it’s conclusion WITH THEM (but I still have a lot of fight in me). Aug 25, 2015, out of the blue INCOMM’s security department me, saying they’d received orders to add funds onto PayPal account. I asked if they were aware of my writing about this story all over the internet, he said yes. Forgot to mention how happy I am that you posted the link about a cyberattack on its systems that resulted in more than $11 million in losses. I haven’t joined the site to read the entire article yet. But what was posted here is VERY validating. So, thank you! Can you contact me via email. I lost $500 back in June. I’m thrilled to hear from you . You can answer some questions that, to this point, I’ve only speculated. Mike, I’ve got more questions I’d rather not go into here, so PLEASE contact me by email, or if you need my email I’ll give it to you. I don’t see details in your article about him and would like to know more about that situation & how you located he and his story. Thanks again, Mike. I look forward to hearing from you. it’s kind of something that if you google you’ll get the same site link but the full story. it’s actually not all that interesting unless you’d like to explore more fully what happened and why the company incomm paid to insure them against hacking losses is at the moment denying the claim to pay for their losses. The same thing happened to me. My story is on Rip Off Report. I lost $500 and received no help from Incomm. when did you buy it and when did you attempt to use it and find the funds gone? have you taken any steps beyond calling the number on the back? What makes me so angry is that they insist that I must have given the pin to someone, basically calling me a liar. They did nothing but transfer me around in circles and tell me to file police report. I was thinking that this was either a data breech or there is some way scammers can get the pins from the cards. It’s weird to me how Incomm has changed the scratch off material on the backs of their cards. The card I used had just plain grey over the pin, now the cards have a grey material with black squiggly lines and the words fast card over it. mine has fastcard on them. if yours does not it seems a possible scenario is where it was removed, PIN recorded, and new material put down. i don’t have any older ones to know if fastcard is new or not on the material. i’ve reached out to incomm via e-mail to the president and general counsel, he was out of office. i’m going to give them until the end of next week before i file with state’s attorney, regulator and better business bureau. i will update my original post as things progress. Please explain how THAT would cause money to leave the card & be put onto someone else’s PayPal account? Sorry, but to my way of thinking, it just doesn’t make sense to me. Believe me, they all looked the same. And when it came time to scratch off the silvering, all 3 had the same level of difficulty in allowing me to scratch it off. It is a clear memory that the silvering was so tough to scratch-off while using a coin, that I was worried the PIN beneath it was going to be scratched off, rendering the card useless! As I’ve previously stated, the first 2 of the cards worked perfectly, the 3rd card was redeemed by someone else on July 4th, while I had the card tucked safely away. On Tuesday July 7th I attempted to retrieve my $500 to pay July’s bills, but was advised by InComm CS someone had already retrieved it on July 4th. Tampering with the PIN would not explain why these cards are turning up all over the place. I’m in Ohio, James is in TX, you’re somewhere else. Someone within the InComm processing system, picking out random cards to scrape off the silvering, note the PIN for future use, then re-silvering the scratch off, putting the card back into sequential order in the stack, having them shipped across the country, redeeming the money on them randomly? Since the cards in question are all over the country, it’s unlikely individuals in stores are investing in ‘re-silvering’ equipment to do a professional job at reapplying the silvering. And as I said, mine were ALL the same. None had the silver tapered with. To me that scenario seems much more of a stretch than a someone (group, country, crime ring) hacking into a computer data base (happening ALL the time these days) scraping off whatever money is showing up on unclaimed cards, transferring to the scammers PayPal accounts on Saturday, July 4th….Then funneled OFF PayPal accounts on Sunday. By Monday when the holiday is over and people by the droves are back to regular business, needing their My Cash Card money =p I tried to cash mine in on Tuesday and was told the money was redeemed on the 4th. But I’d love to hear how you think the re-silvering thing would work. I realize that until someone gets the actual data from the companies involved, we’re all only speculating with the facts & speculation we possess. I too think it is some sort of data breach. I was only bringing up the difference between the old and new cards, as if that method may have been a problem for them. I talked to 2 different reps that were semi helpful, the rest of them acted clueless. The first rep I talked with told me that he had heard of the problem coming up lately. The other rep said it could be someone guessing the last two numbers of the redemption code. I am not sure what that means, but most likely some sort of program guessing passwords. I bought my card on June 3 and tried to redeem it on June 19. It was stolen from me two days prior, at exactly 14 days from the day of purchased. I think this has to be some sort of ongoing scam, or it was a problem for a period of time. It seems I missed your comment that you know you tried to redeem it on June 19th rather than after July 4th, like I surmised from your ROR post of July 11th. While knowing this blows my theory that there was a July 4th InComm data breach that you, me and Mike were involved with together. It’s a relief to finally hear what happened in your case, rather than guessing. I see you have contacted me at my personal address, so I’m sure we’ll have an opportunity to answer each others questions. Thanks again for posting here, and replying to me. I’ll chat with you soon. sure. at any point prior to us picking up the card, someone could have scratched off the material, recorded the PIN, and applied new material. after that they could just try entering any PINs they collected once a week, hoping to get lucky. and when they do, they probably get real lucky, since most people probably load a full 500 to minimize the effect of the 3.95 fee. that we are in different states probably just means it was someone who had access at the point of manufacture, or that there are multiple people in different locations that have done this. to apply the material as an amateur or even more professionally, i believe any equipment or instructions are just a couple google searches and maybe an ebay purchase away. note i am saying this is possible, not that it definitely happened to us – my own cards, to my untrained eye, don’t seem to have been tampered with. Sorry, the redemption of your My Cash card could not be completed at this time. Please try again, and if the problem isn’t resolved, then call My Cash card customer service at 855-721-5035.
what do they say when you call them up? i think this may be a different problem than that i’ve outlined above. my money is gone and loaded to other people’s accounts. i believe the 203 may be they are holding it at incomm and not letting it be loaded to a paypal account – but the money is still there in/with the card – a much better problem to have, as that money is still there. I’d like to see if your 203 issue is similar to what Mike, James & I are dealing with. What day did you buy/fund your MyCashCard? The date of your purchase is important for me to know whether a 203 might be related to our situation. Also, do you have your original receipt from the store showing how much you paid, when & where? And the card itself. Thanks so much for sharing this information with us. I failed to ask, What does InComm customer service tell you about what Error Code=203 means? James McLean, thank you so much for leaving your information about what happened. I am certain you are part of the same July 4th scam that took my money, and probably Mike’s too. As I’ve shared with Mike, several people within InComm’s customer service department commented, “Yours is part of a larger investigation” But none would tell me anything more. Also key, the first person I spoke to on July 7th when I tried to load my card, told me that my money had been redeemed on July 4th, but could not tell me WHERE it went. I now understand that there is a protective ‘bridge’ between InComm & PayPal, so that our PP accounts stay secure. When we redeem our My Cash Card the money is sent securely to PP to be loaded onto our account without InComm knowing our PP information. Because of this, it’s easy for each to blame the other…. and we’re stuck in the middle, without anyone willing to assist us in regaining our very large sums of money. $500 cards are not chicken feed! Kinda seems like the perfect crime. Neither PayPal nor InComm confesses our money was stolen by someone who hacked the system (hacked is the only word I can think of because WE did not give up our PIN to anyone else, so it had to have been taken from inside InComm’s data base.) They realize money in their care has gone missing, so they set their security/fraud departments on it. While it’s unlikely they will recover the money or find who did this, if they do THEY KEEP THE MONEY! After all, they’ve told us it’s OUR FAULT the money went missing, hoping we’ll just roll over and go away. If they recover any of our money, they keep it! Grrrr……….. But I digress. Please pardon my rant above. I look forward to hearing more about the details of your story. I just became a victim of the same scam. Out of the 8 cards I bought last year, 5 cards had fund stolen with $2500 in total gone. Just tried to load one of the card to paypal and had problem. So I have one card already scratched exposing pin number, and all the rest cards still sealed with pin mask. I think the scammers might have come up with an algorithm or something that can calculate pin numbers and stole my money. Called InComm (paypal cash) and they opened a case. Asked me to email materials to them (copies of cards, driver’s license, etc). I hope they will give me the money back or I will actually sue them. I live in GA so I think I can use small claim court. I will buy ALL PPMC 203 error codes! Contact me on skype: BtcxChange27. 203 is unrelated to my experience; i believe the money is still on the cards and there is no real reason to sell them for anyone that holds one. well, the 203 i believe still have the money and there is some kind of temporary flag or anti-fraud feature at play. i would consider these cards safe but inconvenient for cardholders, for whatever reason, at the moment. he makes out if he buys them for 400 and loads them for 500 since the cards are fine and money there. my own cards the money is gone. i’m awaiting some more steps along my resolution process but do have a lot more information now. my current operating theory, which i think is pretty good, is that a rogue incomm employee is exchanging PINs to others, probably for bitcoin. I purchase a PayPal Mr cash card at 7/11 store on Dec 7Th 2015 on January. 2016 I tried to load the card n it said error wit a code, so I called the # on the card n talk to customer service they said I needed a copy of the card n receipt n California id card. I couldn’t find the receipt so I had to go to where I buy them which different stores due to they run out in one. On February I called a ghost ain’t to get the email address where to send my copies finding out tha someone had already loaded my $350 card into there account how can tha be possible when it had an error it couldn’t be loaded n I had to send those copies first. Customer service all they told me they where going to email me the dispute forms to fill em up n send them those copies along wit utility bill n id driver license n copy of the card. How can this be possible for sum one to be able to load a card tha was unable to get loaded? I purchase a PayPal My cash card at 7/11 store on Dec 7Th 2015 on January. 2016 I tried to load the card n it said error wit a code, so I called the # on the card n talk to customer service they said I needed a copy of the card n receipt n California id card. I couldn’t find the receipt so I had to go to where I buy them which different stores due to they run out in one. On February I called a customer service to get the email address where to send my copies which finding out tha someone had already cashed loaded my $350 card into there account how can tha be possible when it had an error it couldn’t be loaded n I had to send those copies first. Customer service all they told me they where going to email me the dispute forms to fill em up n send them those copies along wit utility bill n id driver license n copy of the card. How can this be possible for sum one to be able to load a card tha was unable to get loaded? I want to find who loaded or wat email loaded my card into there account. If sum one knows how I can find out plz let me know. Thank you! It is really shocking that pay pal is doing business with this company that is their name icomm is using you would think they would step up and, eliminate the bad seed. I did find that the url for paypal/mycash.com does not work but if you use http://www.paypal-cash.com it will work.I don’t know if that helps or if icomm is affiliated with that url. thats the only url that would load cash to my paypal account without having any error codes popping up. I’m also cautious to the amount I do load this days. I won’t load more then fifty at a time and would like to know what paypal is doing about this icomm issue. Just thought i would add my two cents to this conversation. As to I too have had my go around with icomm first time i had my money put back in account second time I went back and forth with them it took a week. i’ve made a blog now dedicated to incomm on this issue. neither incomm nor paypal is really doing anything as a result of this. I have had a similar experience with the pay pal my cash card however the money was not stolen by any other party my problem was that I purchased a $500 my cash card from Walgreens and then went to go apply it to my PayPal and then they flagged it and they held the funds so now the funds are being held in limbo with income and they won’t apply the funds to my PayPal and they won’t refund the money to me because I do not have a receipt I do have the debit card that I used to purchase the PayPal my cash card with. I have the bank statement showing the transaction as well however because I do not have that paper receipt . When I cannot contact with my PayPal the PayPal my cash card people they had me email them my ID D card the front and the back and whatever information I had obviously I don’t have the receipt because it was thrown away however I did have my iD I even have the debit card that I purchased the card with and my bank statement showing the transaction as well also my PayPal account has the same debit card associated with it so what more could they want to prove that I purchased this card. They r refusing to apply the funds to my pay pal and refusing to give me the funds back. They are stealing it from me as far as I’m concerned and I dont know how to stop it. your situation sounds different than mine, i’ve heard similar to this and my understanding is the money is still there, it’s just stuck, and it seems to me that eventually they release the funds from the frozen state to the person trying to load them. they and your bank both have the times things occurred so things should match up and i would expect incomm to unfreeze the funds for you, even if it does take some pain and hoops to jump through. in other words, not only did you spend the the money, on your card, you spent InComm’s money on your card i.e. : My Vanilla- prepaid card, My Paypal My Cash-card, now, One Vanilla Gift card. i tried to look this up but don’t see a public way to look up the complaint. they definitely had an external hacking issue unrelated to my experience, where 3rd party hackers redeemed single use codes multiple times. Some of these transactions were done in less than 3 minutes of purchase . that sounds different than the problem i had going on. the CFPB lacks real teeth or motivation to do anything but a complaint to them will be forwarded on, and will warrant some kind of response. Note: Both InComm and Bancorp Bank are private corporations, I even seen, the card accounts frozen because card holders would use these cards like a bank account. To unfreeze the account, sometimes in excess $5,000, the card holder would have to send in, copies of the last 2 deposits, copy of their ID, SSI card. I have seen, a case, a traveler from France purchased 14-$500.00 to avoid the exchange rate, you talk about being mad. What makes it strange, I never had one case against the largest retailer in the world, Wallmart which sold the My Vanilla Cards.